Jonathon Schuchmann is a Senior Engineer, Managing Principal at Steinbicker & Associates, LLC in Heathrow, Fla. He is also a LEED Accredited Professional. We’ve asked him to share his insights, as well as some advice about LEED and sustainable design in the Tilt-Up concrete industry. Schuchmann can be reached at 407- 829-4461 ext. 207 or jons@sai-engineers.com. TCA: What does the Tilt-Up industry need to know about green and sustainability? Schuchmann: Sustainable and environmentally conscious construction practices are here to stay. The great thing about Tilt-Up construction is that it has many inherent sustainable attributes associated with the practice, including recycled materials, regional materials and benefits associated with energy efficiency. The Tilt-Up industry needs to take advantage of Tilt-Up’s green qualities by educating other professionals about the benefits. 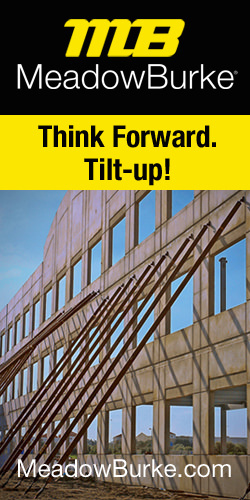 Being a staunch supporter of Tilt-Up construction, I have noticed that Tilt-Up technology has come a long way. As we become more innovative in its use, we open up doors to broaden acceptance throughout the construction industry and increase applications where it can be used. LEED Certification and sustainable design offer great opportunities for this to occur. TCA: Why is Tilt-Up a fit for LEED? Schuchmann: Tilt-Up can provide many benefits toward achieving LEED Certification. The basic components of a Tilt-Up panel, concrete and reinforcing, provide many opportunities for gaining credits with the LEED rating system. Concrete can be specified to contain recycled materials such as fly ash, slag cement and aggregate. In addition, the reinforcing is commonly provided as a recycled product. Furthermore, concrete is commonly produced from local materials (within 500 miles of the project site), which add to the credit tally. Numerous additional credits can be scored through reuse of wood formwork and reuse/relocation of existing panels, use of the panel’s thermal mass to moderate temperature fluctuations, using light colored concrete to reduce the heat island effect, and advances with innovative Tilt-Up systems and the materials they contain. TCA: How is Tilt-Up a fit for LEED? Schuchmann: Tilt-Up, structurally speaking, has advanced significantly over the years and naturally enhances a project seeking LEED Certification. The inherent structural capacity of Tilt-Up construction can be used to easily support rooftop solar collectors and the additional loads imposed by a green roof, while also creating the finished surfaces for the interior and exterior facades. Beyond this, insulated Tilt-Up panels can be used to enhance the energy efficiency of the building shell and speed the construction process at the same time. Tilt-Up has proven to be very flexible and allows for use in single- and multi-story projects (currently up to 10 stories) or in parking garages as part of a hybrid precast system or a full site-cast system. Tilt-Up also can be beneficial for expanding structures because panels can be designed for reuse or relocation when expansion occurs. If reuse isn’t an option at the time of expansion, the panels can be crushed and used for fill and the reinforcing can be recycled, adding to LEED Certification in the future. TCA: Please dispel any misconceptions about the use of Tilt-Up concrete in a LEED project. Schuchmann: Numerous misconceptions exist regarding the use of Tilt-Up on LEED projects. The use of Tilt-Up does not require a large site because panels can be cast directly on the slab-on-grade, and in many cases, the panels can be stack-cast. This keeps the construction zone confined and provides for minimal disturbance of the existing site vegetation. When casting beds are required, they should not be looked at as waste; rather, they can be crushed and reused as sub-grade on the site instead of bringing in virgin materials. In addition, Tilt-Up is not limited to being a one-time use product. Tilt-Up construction can be very flexible when considering future expansion of the project. New openings can be provided in the panels for access to the expanded areas, or each panel can be relocated to form the new wall. This reduces the amount of new materials required for expansion in the future. Finally, Tilt-Up panels can provide for both interior and exterior finished surfaces while acting as the load bearing structural system all at the same time. This can reduce the overall materials required on the project. TCA: Even if a project isn’t seeking LEED Certification, what elements of LEED can be incorporated to the betterment of the project? Schuchmann: Even if LEED Certification isn’t sought, LEED concepts can be introduced easily into a Tilt-Up project. Increased energy efficiency can be achieved through the use of insulated panels and the panel’s thermal mass to regulate daily temperature differentials. Light-colored exterior surfaces can reduce the heat absorbed by the structure, limiting the heat island effect. Tilt-up panels can be designed for reuse/relocation or additional loads when future expansion occurs. Using concrete will naturally encourage the use of local materials and recycled components. All of these aspects can be used without additional cost while still moving forward with an eco-friendly approach to construction. TCA: Who is driving the decision to use Tilt-Up on your projects? a design-bid-build project. The owner or developer will look to us to recommend the most efficient structural system for the project, which is most commonly the Tilt-Up method. The contractor or we, as the engineer-of-record, will push to use Tilt-Up construction for the cost savings and the speed of construction. TCA: Who is driving the decision to use green or sustainable elements on your project? What about LEED Certification? Schuchmann: We generally find that public opinion drives the use of sustainable construction and LEED Certification on our projects. There can be a slight increase with the front-end costs of construction associated with achieving the various levels of LEED Certification, which can be an initial deterrent for owners and developers. In these tight economic times, we understand how challenging the construction market can be and are often looking for ways to save money. The benefit of sustainable construction is that the additional initial costs are often recouped through energy savings obtained in the future. In addition, owners and developers who implement sustainable practices on their projects can realize a competitive advantage when the space is being leased or sold, due to public demand. TCA: How can a Tilt-Up contractor, engineer, architect or product supplier capitalize on the growing green and sustainable movement? to better market their services as a holistic approach toward sustainable construction. This team effort would greatly benefit owners and developers by utilizing an existing group dynamic and will give green a competitive advantage. In addition, those entering the green construction market need to educate themselves on LEED concepts and how they’ve evolved over the years. This, in combination with keeping an open mind, will allow for new and more innovative ways to create sustainable projects and provide benefits to those on the forefront of sustainable construction. TCA: How does Tilt-Up compare to other building methods with regard to LEED Certification? Schuchmann: LEED allows for the use of any type of building material to gain credits toward certification; however, based on the project, some materials tend to allow credits to be gained more easily and influence the number of indirect credits that can be obtained. The use of concrete through Tilt-Up construction tends to be one of the more advantageous materials and can be a great resource in achieving LEED Certification. TCA: Where do you see the role of Tilt-Up in the green/sustainable movement in the future? of Tilt-Up construction, its use will continue to increase on sustainable projects due to its flexibility and inherent LEED attributes. 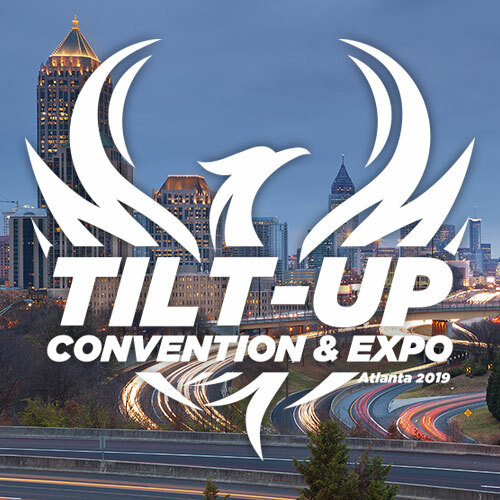 The Tilt-Up industry needs to be aware of its benefits, and we need to be proactive in conveying these concepts to those who shape projects in order to utilize the advantages provided by Tilt-Up construction.